When you are a budding entrepreneur, the biggest challenge you can face is from within your own industry. Customer service poses so many unique challenges nowadays, because not only do you have to engage the customer outside of the working environment, if you are working in an industry where customer service is integral to the continuing success, such as in the restaurant industry, you've got a lot to work on. So, with that in mind, what specifically, in the restaurant industry, are the fundamental pillars of success? The restaurant experience, from beginning to end, is not just about the food, as we all know, but how we need to ensure that our customers have a worthwhile experience, is to have a sense of continuity between each member behind the scenes as well as the front of house team. This means that efficiency has to be top of the priority list. Not only in terms of how the restaurant works, but you need to ensure that the in-house team are happy workers. This tends to get neglected, especially from the top down. It's a little thing, but running a tight ship now doesn't just consist of good quality working methods, it's about technology that provides a quick service, but also makes for smoother administrative procedures. Nowadays, there are companies you can outsource, like Restaurant Solutions Inc, to provide a solid administrative structure, whether through the accounting or procedures in general. The in-house team needs some sense of working security, and so, it is vital that you provide this. When we think about the restaurant industry from the outside, we look at the fiery temperament of a restaurant manager, but now, we have to harness the ability to lead with a level head. Leading by example is something that many restaurateurs don't particularly take on board. And this is why if you are looking at creating an environment that is nurturing, that also delivers the goods, you have to think about how you present yourself as the boss of the organization, but also, in how you work with your colleagues, customers, vendors, and so forth. We demand 110% from our employees, but it may be quite an antiquated notion that working hard delivers the goods, encouraging your employees to work smarter in addition to working hard means that they are making the most of their abilities, and you know that you are running a very tight ship that delivers what it promises. Everything has to run like clockwork in the restaurant industry, not just when you are seating customers and providing a continuous service, this approach needs to reach through the entire restaurant, as well as work behind-the-scenes. The restaurant industry is one of the few that seems to be going from strength to strength in a difficult world, and it's not just about working ethics that will keep you afloat, it's about encouraging a working process, as well as solid business acumen, in combination with the right technology, that will enable you to improve in this difficult modern world. 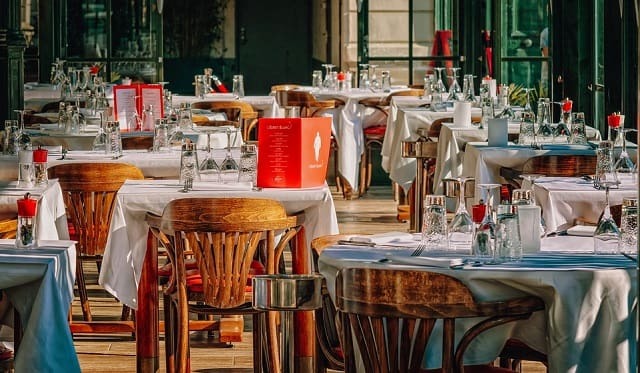 I hope you enjoyed this article about how to maximize the chances of success for your restaurant business with savvy strategy. Interested in more articles about the managing a successful business?